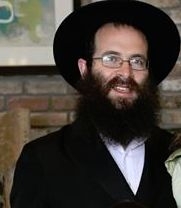 Rabbi Yoseph Groner is Rabbi and spiritual leader of Congregation Ohr HaTorah in Charlotte, North Carolina and is director of the Lubavitch Jewish educational organization in the Carolinas. He assumed this position in 1980. The synagogue is a Jewish Orthodox congregation for the Charlotte area. 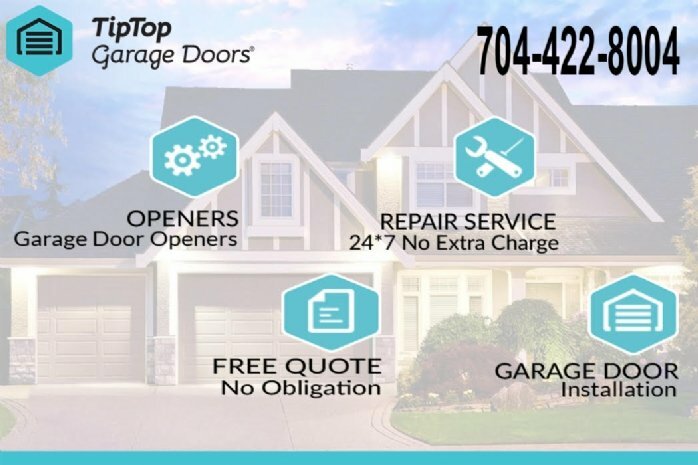 He is the Founder and director of the Charlotte Chabad House, which serves as a Jewish educational resource and outreach center for the Charlotte metro area. This includes weekly lectures on the Bible, Talmud and Kabbalah.The Chabad House is an affiliate of the Lubavitch movement, with its headquarters in Brooklyn, New York. He is the Co-founder with his wife, Mariashi, of the Jewish Day School of Charlotte (now Charlotte Jewish Day School) and The Jewish Preschool on Sardis. The schools have an enrollment of about 200 students. 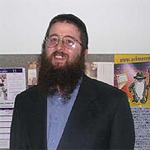 Rabbi Groner established many other additional Chabad centers in the Carolinas. Rabbi Groner is visiting rabbi at the North Carolina State correctional institute in Charlotte. Rabbi Groner is a Community Volunteer sponsor at Right Turn of North Carolina, which is under the supervision of the North Carolina Division of Prisons. He visits Mecklenburg County and Guilford County jails in North Carolina. He has also visited federal prison facilities in North Carolina and Pennsylvania. 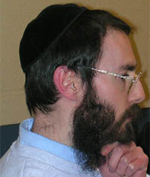 Rabbi Groner serves as Contract Rabbi to the Jewish inmates at the Federal Prison Camp in Alderson, WV and at the Federal Prison Facility at Beckley in Beaver, WV. 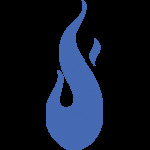 Rabbi Groner serves as a rabbinic delegate on the board of the Jewish Federation of Greater Charlotte. He also serves as a rabbinic kosher inspector for various Kashrut agencies. 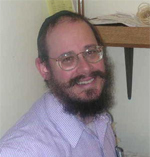 Rabbi Shlomo Cohen is a graduate of the Rabbinical College of America in Morristown, New Jersey, and continued his education at the Landow Yeshiva in Miami Beach, Florida. He received his rabbinic ordination from the Central Lubavitch Yeshiva in Brooklyn, New York. 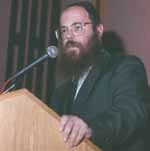 Born in Lansing, Michigan, Rabbi Cohen moved as a child to the Pittsburgh area and studied at yeshiva schools through high school. He has been involved in Jewish outreach activities at summer camps in Pittsburgh and Toronto, Ontario. Rabbi Cohen's wife Yiska is from Amsterdam, Holland, and they have been living in Charlotte since their arrival in 1995. The Cohens have nine children. Yiska teaches at Charlotte Jewish Day School. After teaching for 13 years at Charlotte Jewish Day School, Rabbi Cohen has shifted to a full time position as the outreach director as well as program coordinator for Lubavitch of NC and Congregation Ohr HaTorah. He is very involved in teaching and reaching adults through the world renowned Jewish Learning Institute. Ohr HaTorah, as well as for Lubavitch of NC. He trained at Yeshivat Tomchei Temimim, Kfar Chabad, Israel, and the Rabbinical College of Canada, Montreal, where he received semicha (rabbinical ordination). After ordination he continued his studies at the Central Yeshiva, Brooklyn, New York. Rabbi Gordon, who is a native of Johannesburg, South Africa, lives in Charlotte with his wife, Devorah Leah, and their ten children. He and his wife arrived in Charlotte in 1998. He teaches fifth grade at Charlotte Jewish Day School. Rabbi Gordon enjoys Torah study and outings with his children. Rabbi Binyomin Weiss is the education director at Congregation Ohr HaTorah. He has been blessed with a beautiful voice, and leads Congregation Ohr HaTorah in prayer and song. He also reads the Torah each week as well as leading the High Holiday services. Rabbi Weiss has been involved with Jewish education in Charlotte since his arrival in 1986. His post-secondary studies include the Rabbinical College of America in Morristown, New Jersey, the Rabbinical College of Canada in Montreal, Quebec, and two years of Talmud study and Jewish community outreach in Buenos Aires, Argentina. He was ordained in 1984 by the Central Lubavitch Yeshiva in Brooklyn, New York. Rabbi Weiss has taught every elementary grade, from first through sixth, and enjoys sharing his love of the weekly parsha and Jewish holidays with his students. In his spare time, Rabbi Weiss tutors candidates for Bar Mitzvah, runs the kiddush program for Ohr HaTorah, and inspects food manufacturing facilities across the Carolinas that are under his kosher supervision. Binyomin and his wife Channie have been blessed with 11 children. Rabbi Menachem Vorst was born in the Netherlands to Rabbi Yitzchak and Raiza Vorst. His parents serve as the Jewish community leaders of greater Amsterdam for over 30 years as well as having founded many of the Jewish institutions that serve Holland’s Jewish Community. As a small child Menachem was involved in many outreach activities in Amsterdam living up to his parent’s unique role in the post holocaust country. After his education in the Netherlands, Menachem studied in the central Chabad Yeshiva of Brunoy France for several years. In his senior years in Brunoy Menachem directed the outreach activities in greater Paris, heading a network of yeshiva students that would visit homes, offices and store fronts promoting Judaism, Torah Study and Holiday awareness. Menachem was then sent to the Chabad yeshiva of Manchester, UK to help restructure the study program as well as provide individual attention to the young students. After his formal Yeshiva years Menachem spent two years in the Central Chabad yeshiva of Brooklyn NY where he was ordained and completed his rabbinical studies. He then married Rochele the daughter of Rabbi Yossi Groner and has six children. After his marriage Menachem and Rochele ran several Chabad youth activities in central Amsterdam, their work has left a considerable impact on the community. Menachem now serves as the youth director at Congregation Ohr HaTorah as well as the director of the food service and catering at the Charlotte Jewish Day School. He is also known amongst the day school students as the “Kosher Police”.